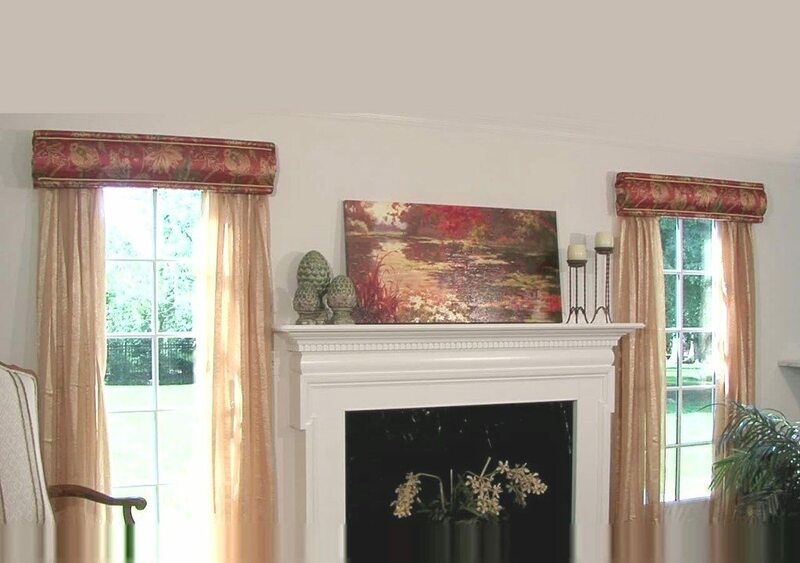 There are many window treatment valances available on the market, both ready-made and custom designed. In the valance category, the versatile cornice is the style I prefer for many reasons. A simple cornice is an easy way to decorate and add interest to a room. It is a versatile choice because it can look casual or elegant, neutral and monochromatic, or bold and vibrant. The straight lines of a Deco Wrap cornice allow you to create the mood of your window treatment, it just depends upon the fabric you choose. Since the form is basic, you can design a window treatment that is simple, or one that is more elaborate. For example, you can use neutral linen fabrics for a clean tailored design, or bold silk patterns with embellishments for a more elegant feel. 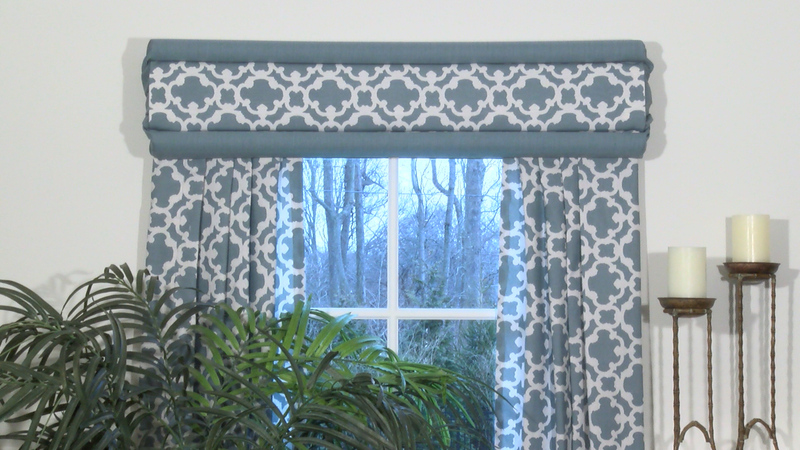 This contemporary cornice has trellis patterned fabric tucked across the center to match the panels. 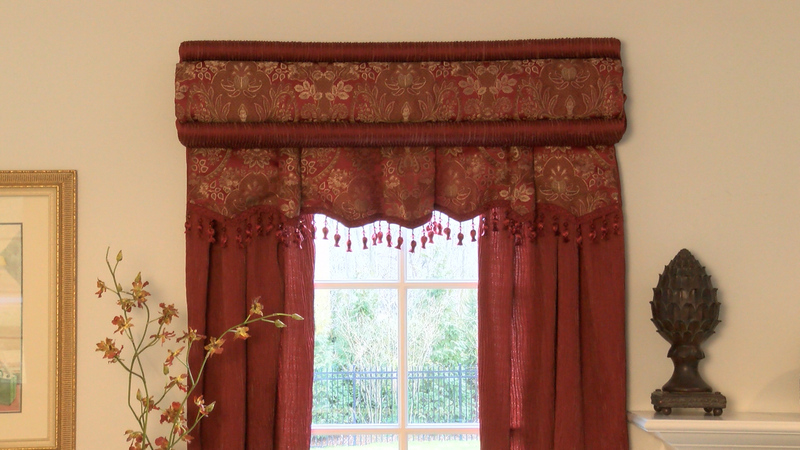 The cornice above is a more formal style with a skirt and tassel trim. Here we add contrast cording and semi-opaque sheers as a compliment to transitional decor. The versatile cornice is ideal for children’s rooms, as you can change the fabric to change the look as your child grows.So whether you want simple, casual, elegant or novel, consider Deco Wrap and the versatile cornice valance.